-THB 500 for BCCT/members of participated chambers paying at the door. 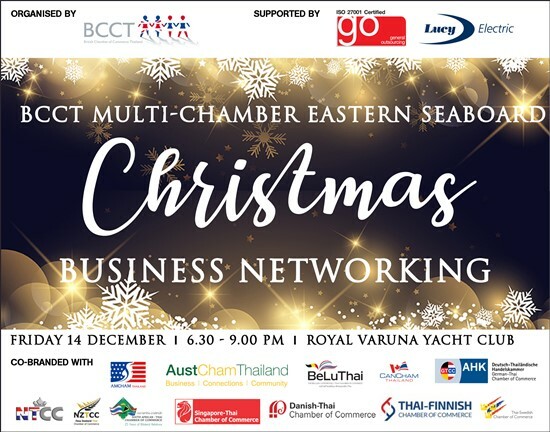 Transport: BCCT has transportation leaving from Bangkok at 3.00 pm (sharp) to Pattaya and returning the same night after the event. If you are interested in joining us please leave a comment or email to urosesri@bccthai.com Cost is THB 500/person. Please confirm your transport booking by Wednesday 12 December, 5 pm.